The rap stars renewed their feud last week with the release of Pusha T's new album. Drake claims rival rapper Pusha T used a blackface photo out of context. Drake says the picture was from 2007, when he was an actor working on a project that was about young black actors struggling to get roles. He says the photo represented how blacks were once "wrongfully portrayed in entertainment." The rap stars renewed their feud last week with the release of Pusha T's new album. 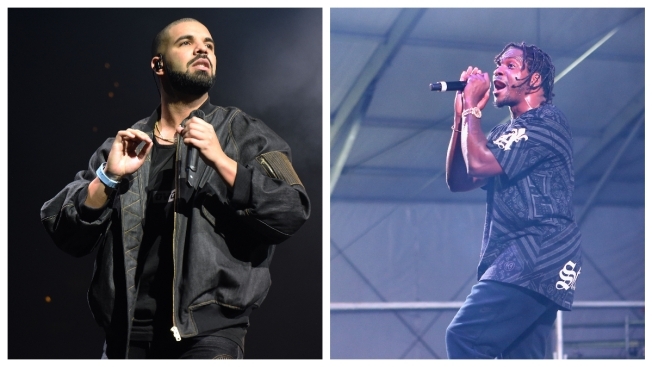 In his song "Infrared," Pusha T accuses Drake of using a ghostwriter.